VJ Books Features Author Cherry Adair! Cherry Adair was born in Cape Town, South Africa in 1951. She immigrated to the United States in her early 20s and began working in San Francisco as an interior designer. Adair's love of reading eventually led her to begin writing her own books, finishing no less than seventeen discreet works before her first publication. Adair is the recipient of the Golden Quill Award for Best Mainstream Single Title, the Reviewer's Choice Award for Best Romantic Suspense, and myriad others. 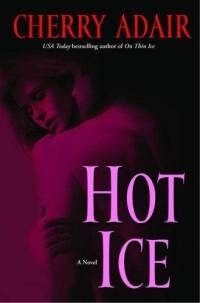 She is also a six-time finalist for the Romance Writers of America RITA Award. Adair now resides in Washington State with her husband, David, and her paperback collection. She continues to create her own new work as well as teaching workshops on writing. 2005 NY: Ballantine First edition, first printing, mint, new/unread, flawless dust jacket. Each dust jacket is protected in an acid-free archival quality acetate cover.